Yet unknown to me. The name refers to the greenish reaction of the cap with ammonia solution. Known from Italy, but collections from under willows (Salix) showing greenish flush with ammonia are mentioned also from the British Isles. Dessi, P. & Contu, M. 1998. Paxillus ammoniavirescens sp. 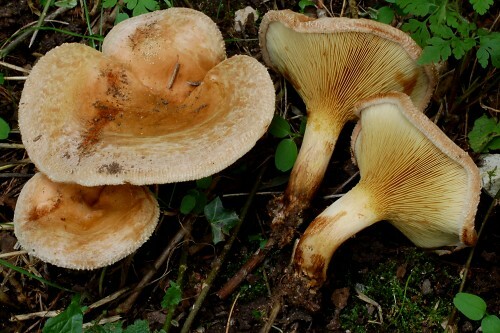 nov. with notes on the genus Paxillus (Boletales) in Sardinia. – Micologia e Vegetazione Mediterranea 13(2): 121–130.